New for Week 6, RotoBaller announces the launch of it's live NFL gameday fantasy football stat tracker. 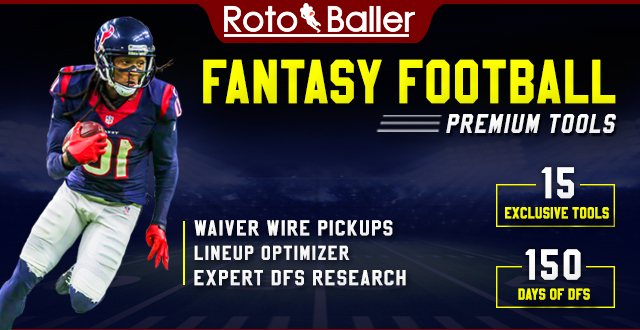 This user friendly tool was created to assist in the overall statistical tracking of every offensive player for the week, and was designed with the fantasy football enthusiast in mind. By allowing the user to filter player statistics by position, and sort them by fantasy category or league type (PPR and Standard scoring), RotoBaller has developed the easiest and most aesthetic way to view live player scoring once the NFL action has begun. After all, what's better than seeing an updating list of the top fantasy performers in one easy place. 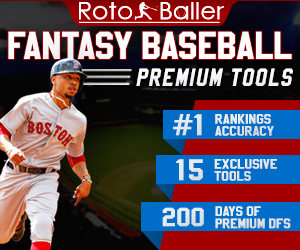 Since it's inception, RotoBaller has aimed to provide the fantasy sports community with free and innovative fantasy tools, to better the overall gaming experience for participants of all skill levels. Now you can easily keep a pulse on all the NFL action, and which players are racking up fantasy points. Stay with RotoBaller after the games have started and get the most out of your fantasy football stat-watching experience. Check all your player scores, and know which players are having big games or having breakout performances. For the most efficient way to get your in-game fantasy stats, check our NFL gameday fantasy football stat tracker and experience just a taste of what we have to offer. 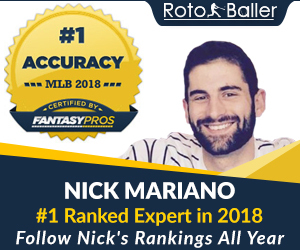 For the most interactive fantasy sports experience anywhere on the web, don't forget to visit our rapidly growing community in the RotoBaller chatroom for breaking news and live fantasy football advice.